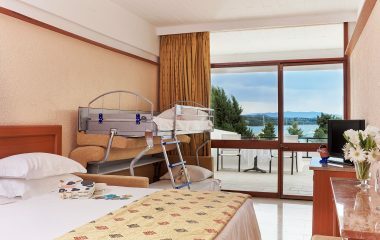 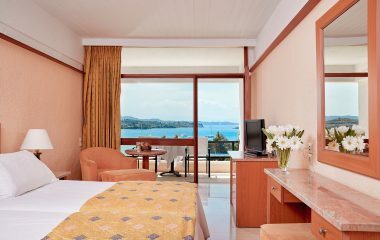 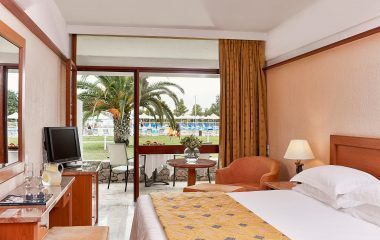 With comforts and services that meet the highest of standards, as well as gorgeous views of the bay of Porto Heli, AKS Porto Heli’s Executive suites will offer you magical moments that become unforgettable holidays. 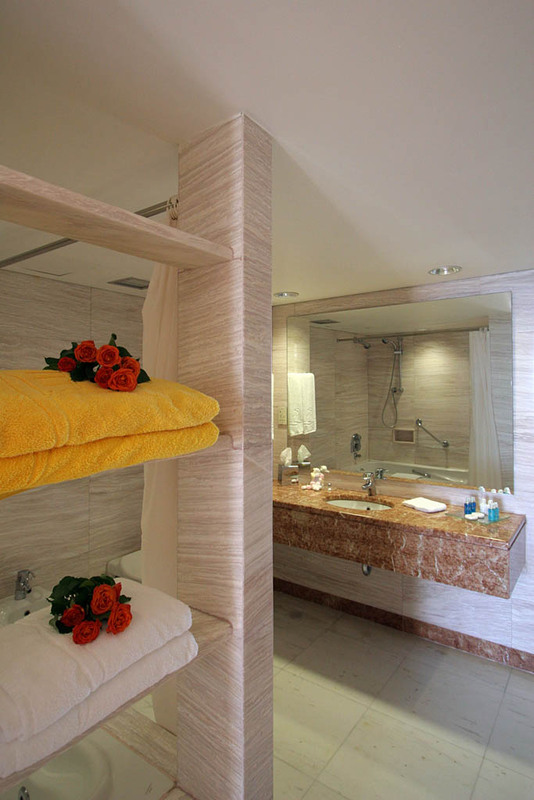 They feature a king size bed, a spacious marble bathroom with hydromassage, a dressing room, safe, a 30 sq.m. 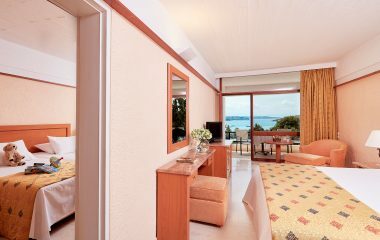 lounge / dining room, a private balcony offering great views, individually controlled air conditioning, two TVs, two refrigerators, a hairdryer and telephone. 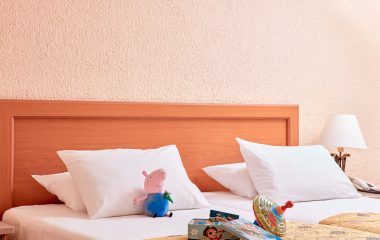 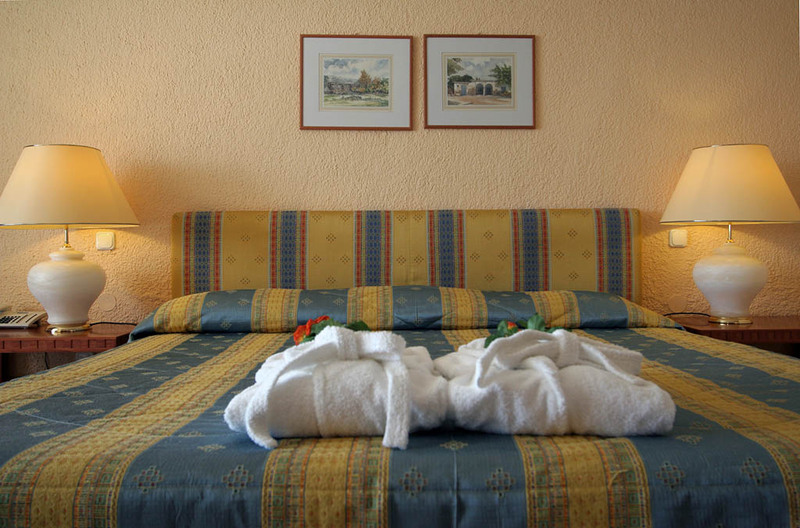 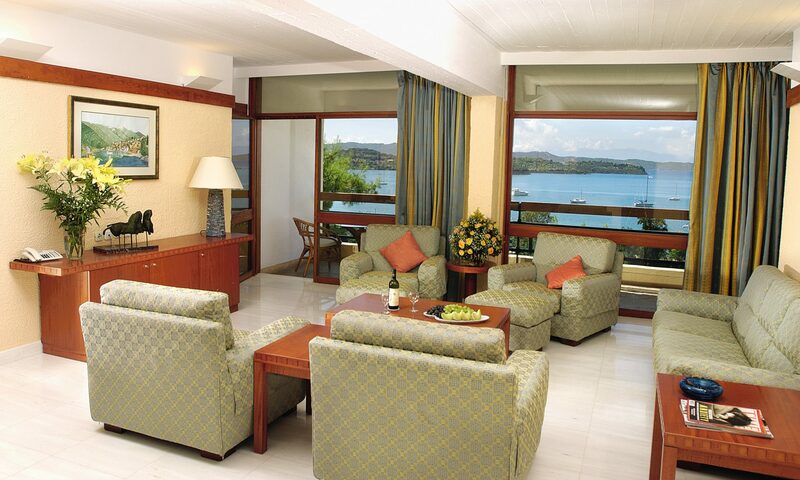 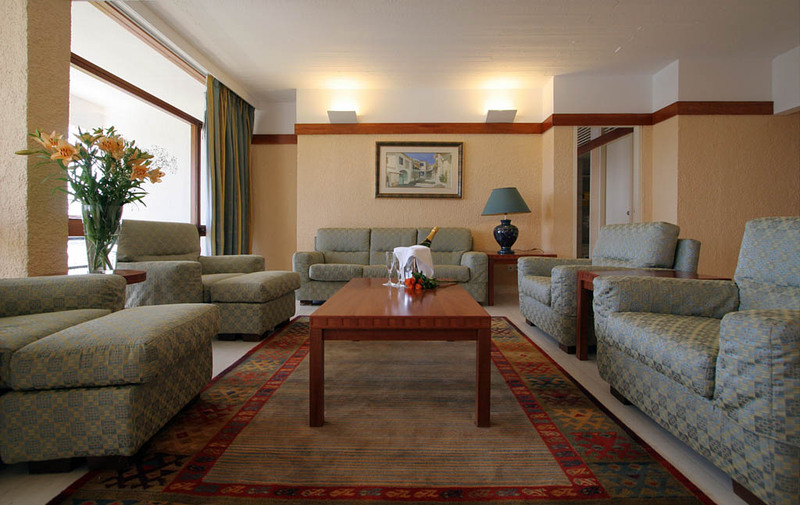 The Executive suites are suited for accommodating up to 3 people.